ETTU.org - Whom is last ECL Friday night for? Whom is last ECL Friday night for? Who will play in the 2014/15 Men`s European Champions League semifinal, we`ll know this Friday when all four returning matches of the quarter final will be held. Bearing in mind results from the first leg, two times MECL champion Orenburg is practically qualified, after 3:0 (9:3) away victory in Saarbrucken, while the UMMC should have the biggest chance out of all defeated clubs, because they lost 3:1 in Chartres with an acceptable set difference (9:9). But, there are too many examples in the past that big advantages were not enough for the ticket to the next stage. For instance, Pontoise lost from Bremen 3:0 (9:5) in the first quarter final game last season, but managed to continue its way to the crown. “The forthcoming match is very important for our team”, emphasized Valeriy SALABAEV, Coach of Fakel Gazproma Orenburg, the 2012 and 2013 MECL champion. “The final stage is played as a knock-out competition. A failure can lead to elimination of the team from the tournament. All players of the German club are experienced and very strong sportsmen, so the match is expected to be tense and spectacular. All our players are preparing hard for the match”. 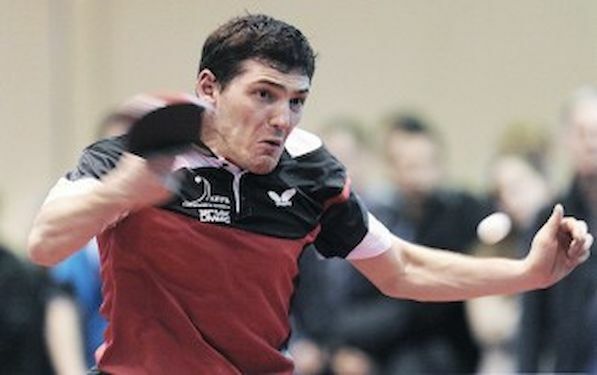 Orenburg`s Vladimir SAMSONOV, Dimitrij OVTCHAROV and Alexei SMIRNOV are focused on the new MECL title. On the other side, Tiago APOLONIA, Bojan TOKIC and Adrien MATTENET will try to do impossible. The 2008 MECL winner Niederosterreich hosts Bogoria with 3:1 (9:6) advantage. Polish champion had no answer for good defensive play of HOU Yingchao who provided two points for his side. If Korean OH Sang Eun will be able to repeat some of his best performances in MECL in last couple of seasons, guests will have a chance. The 2012/13 finalist Chartres defeated UMMC 3:1 in the first leg, but Russians lost all three matches playing five games. That is the reason why Coach Tatiana KUTERGINA believes that her club can reach the semis. “We understand that we need to win at least a 3:1, because we have a good set difference”, stressed KUTERGINA, adding: “Each our player must give their 100 percent and then we will have a chance to continue our way in the MECL. I hope that everyone will cope with this task, because everybody understands the position in which we find ourselves”. Other reason for UMMC`s optimism is Jun MIZUTANI`s comeback from Japan where he won National Championships last weekend. “The mood is now positive”, said Grigory VLASOV who took unique point for his club in France. “Jun (MIZUTANI) will surely contribute too much and I hope that he is in the good shape”.